We know that when most people think of dentistry, they think of teeth before anything else. As the medical industry learns even more about how integrated all of our systems are, our role as your oral health care provider can expand in ways that may surprise you. For example, if you’re frequently experiencing headaches or migraines along with facial pain, you may have TMJ dysfunction, and at Cornerstone Smiles, we can help relieve your pain! 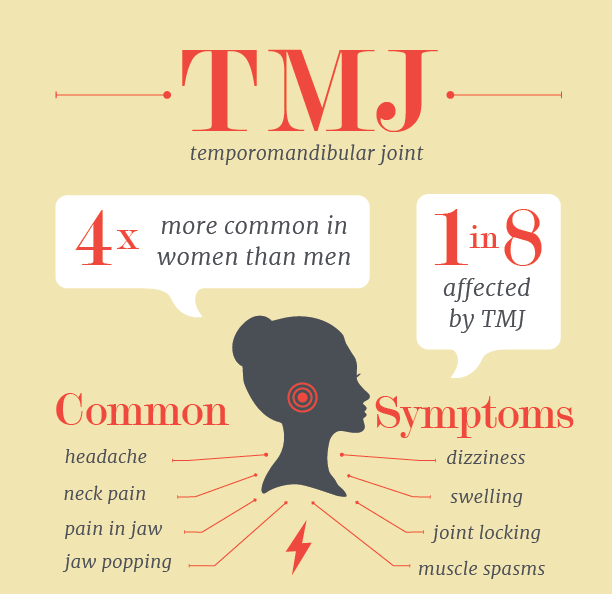 TMJ is the abbreviation of temporomandibular joint, which is where your jawbone connects to your skull. TMD refers to temporomandibular dysfunction or disorder, and you’ll likely see these abbreviations used interchangeably, with the addition of TMJD. What kind of dysfunction are we talking about? With stress being perhaps the largest contributor to TMJ problems, a great deal of the population is at risk of developing TMJ symptoms. Over 10 million Americans are estimated to have TMJ dysfunction, with an alarming 90% of those suffering being women in their childbearing years. Patients with arthritis, connective tissue diseases and jaw injuries are also at an increased risk of developing TMJ disorders. To circle back a bit to more standard dentistry, we should mention that misaligned teeth, bite problems, missing teeth, and imbalanced forces can also contribute to TMJ dysfunction. How can Cornerstone Dentistry help? If what we’ve described sounds familiar to you, Dr. Hardy and Dr. Wilson can help you find relief by addressing the cause of the imbalance instead of treating the symptoms. When we evaluate you, we’ll listen to and feel your jaw as you open and close your mouth, observe your jaw’s range of motion, and press on areas to identify sites of pain or tenderness. We can develop a customized treatment plan that makes TMJ pain a thing of your past. If you’ve got questions about TMJ or anything related to dentistry, we’d love to answer them for you! Give us a call at 864-261-1418.